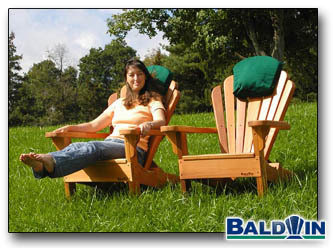 The first Adirondack chair was built in upstate New York in the Adirondack Mountains over a two hundred years ago. Its design made perfect sense... Since there is no level ground in the Adirondack Mountains and people like to sit facing the best view (downhill) someone built a special chair that leaned way back. When used on a steep hill this chair would sit upright like any other chair on level ground.